Join us For Only An Hour, a queer manifesto told through dance, song, spoken word and performance art. 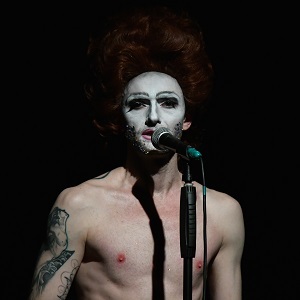 Danced to a hilarious medley of Angela Lansbury, Delia Smith and Bette Midler, this one man romp is a pseudo-glamouress jaunt through pop culture, queer art, childhood dreams and life changing surgery. It speaks of the urge to survive through many things, by leaning into humour, openness, hard truths and visibility. SARDOVILLE are a ‘repertoire-esque’ theatre company which roughly translates as ‘Hold on to your knickers, anything could happen’. The company have worked together for a decade and delight in bringing stories that are moving, entertaining and perplexing.